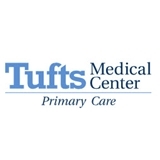 Tufts MC Primary Care Framingham (Framingham) - Book Appointment Online! Friendly doctor that is genuinely concerned about your health. Love this doctor and love this office. Wonderful doctor, I haven’t been for a physical in about 9 years and she and her team guided me through the process seamlessly.